I use the MBTI for my fictional characters often. I just was talking with some writer friends who are typing their characters. I do that too! 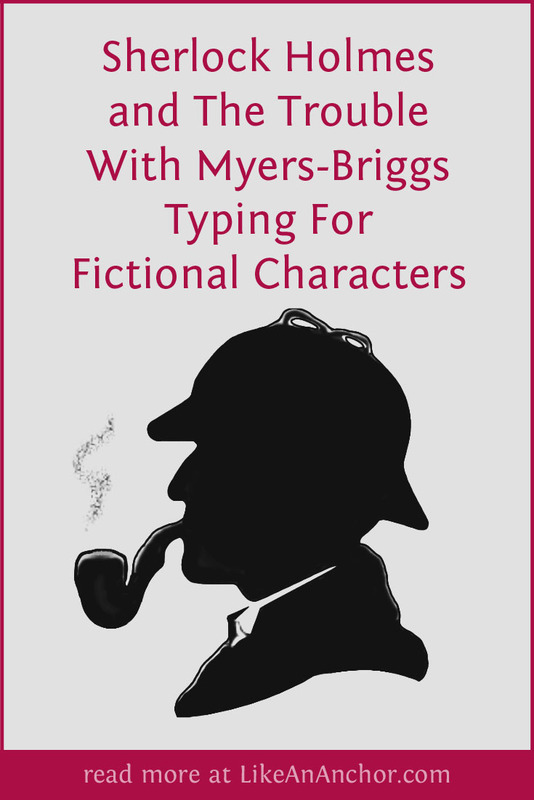 When I write fiction, Myers-Briggs type is one of the things that goes in each important character’s profile. INTJ (online) is a joke. Every (popular) character is an INTJ (see: Gandalf, etc). And most people who take these online tests get the result INTJ. Furthermore, these idiots who get the INTJ typing (from some BS free online test) want their favorite characters to (also) be INTJs. Except, they aren’t INTJ (nor are most of the characters that they type as such). Most of the INTJs are actually ISTJ, ISFJ, ISTP, ISFP, etc (see: sensors). Moriarity is a fictional INTJ (not Sherlock). Sherlock is a unkept druggie who lives in a pigsty (very uncharacteristic of any J). He is almost most certainly a perceiver. So, yeah, INTJ for Sherlock. INTJ for Moriarity. INTJ for Gandalf. INTJ for NEO from the Matrix. INTJ for Cancer Man from the X-files, INTJ for [stick name of popular fictional character here].